(2) The theorems of Euclidean geometry are diamonds…. As the news about non-Euclidean geometry spread– first among mathematicians, then among scientists and philosophers– the Diamond Theory began a long decline that continues today. 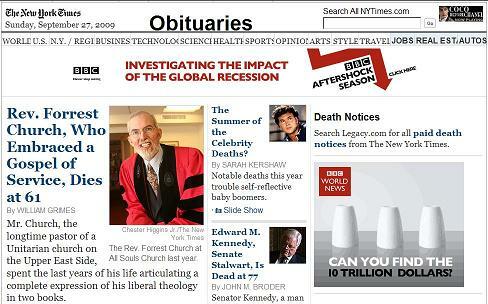 Factors outside mathematics have contributed to this decline. Euclidean geometry had never been the Diamond Theory’s only ally. In the eighteenth century other fields had seemed to possess diamonds, too; when many of these turned out to be man-made, the Diamond Theory was undercut. And unlike earlier periods in history, when intellectual shocks came only occasionally, received truths have, since the eighteenth century, been found wanting at a dizzying rate, creating an impression that perhaps no knowledge is stable. 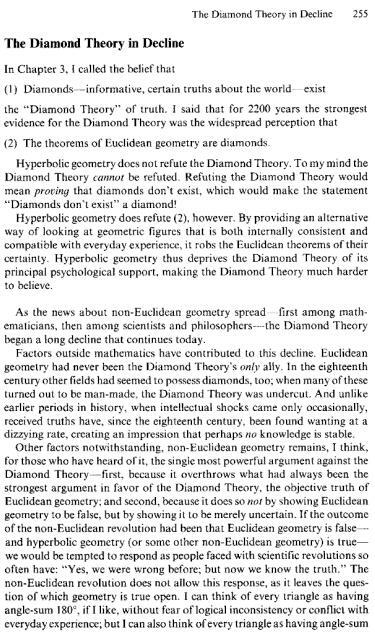 * As recent Log24 entries have pointed out, diamond theory (in the original 1976 sense) is a type of non-Euclidean geometry, since finite geometry is not Euclidean geometry– and is, therefore, non-Euclidean, in the strictest sense (though not according to popular usage).